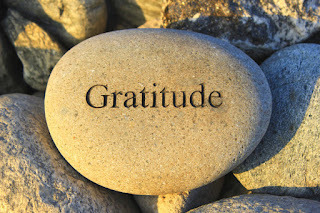 Back to our regular gratitude post. I'm grateful I didn't have to go out into the storm Monday because the show I was to do that night was cancelled last month. I'm also grateful I have somewhere warm to be during this cold snap. Too many people don't.